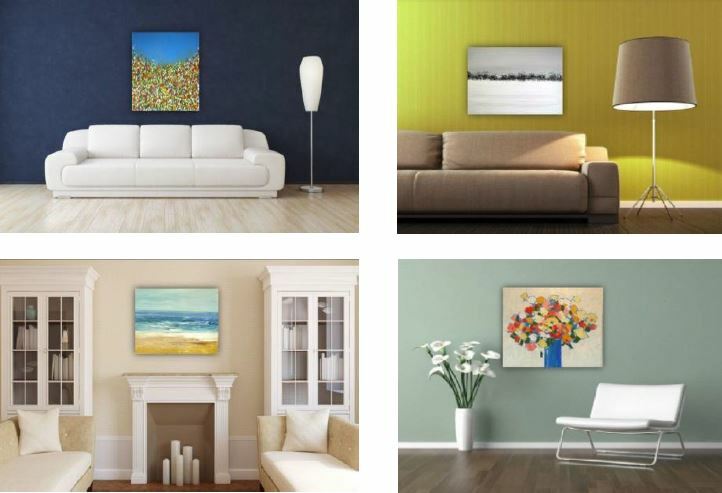 If you find a piece of original contemporary art on the site that you like, and would like to know what it would look like in your room, just email us a photo of the space (front on) to info@rippinghamart.com and we will insert your chosen painting into the room setting and email the finished image back to you. Please see examples below. Of course, if you buy any artwork from us, you have 14 days to live with the piece, and make sure that it fits in with your room and decor. If not, you can return the artwork to us for a full refund or exchange.